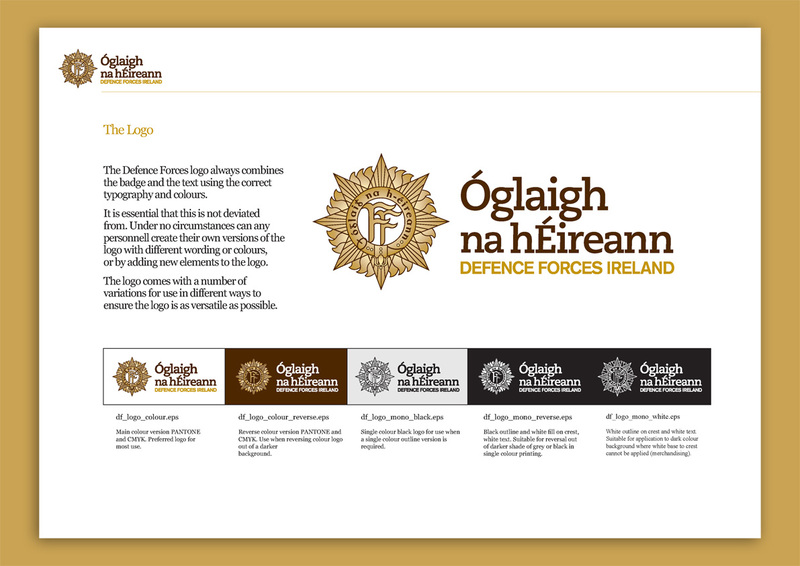 We worked with the Defence Forces to develop their logo design and created a new brand identity. 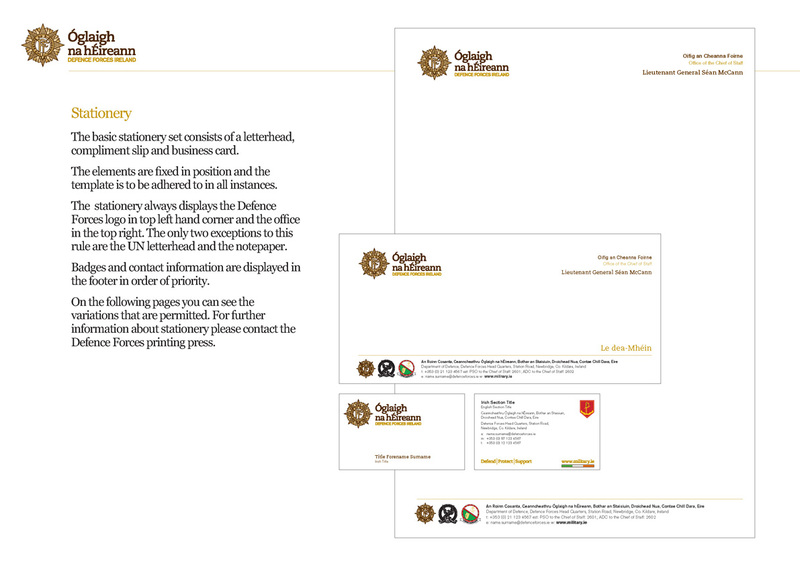 This included a new web presence, app, templates for stationery, reports and posters. The traditional Defence Forces badge design has a number of subtle updates which make it more robust when reproduced at small sizes. 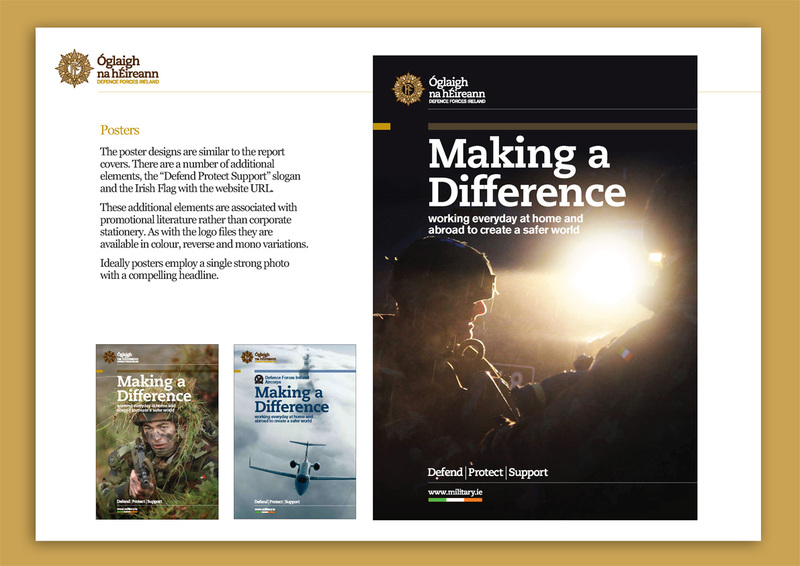 We have continued to work with the Defence Forces on annual updates to their website and content and also developed the website for the Military Archives and development solutions for several collections.